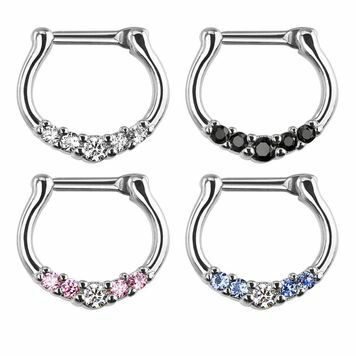 Choose from 4 CZ gem colors: Clear, Black, Pink/Clear and Aqua/Clear. Available in 2 size options: 14 gauge and 16 gauge. Bar measures 6.7 mm in overall length. Made of 316L surgical steel.